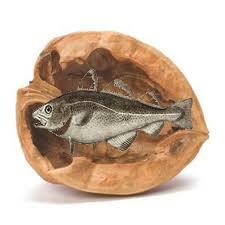 Water News in a Nutshell. Gazette’s Summary: In spite of talk of water shortages and the dire consequences of global over-consumption, it is encouraging to note that in some areas we’re getting smarter and making better use of our water resources. While there is an assumption that humans will continue to use more and more water, there are signs that we’re learning to use water more wisely in some areas. For example, improvements in irrigation techniques have resulted in considerably less water being lost to evaporation. And even the compulsion to maintain lush lawns in areas where grass was not meant to grow seems to be losing its stranglehold on the American psyche. Another big positive for sensible water consumption is that Americans are eating less beef. The eating of cattle is one of our most outrageously wasteful practices when it comes to water consumption. A move toward a plant-based diet not only leads to much less consumption, but it is one of the most powerful anti-pollution steps we can take. We have also made great advances in improving water-using appliances. Common home appliances like washing machines and toilets now do a better job while using less water than their predecessors. Industry has also learned to save expense by saving water and many commercial machines use remarkably less water than previous models. Another important advance that we are making in conservation is in the reuse of treated wastewater. The reuse of wastewater is still in its infancy, but more and more cities and industries converting to direct or indirect reuse of their treated waste stream. This takes time for people to accept. Although all the water we use is recycled, the idea of drinking today what was yesterday’s sewage doesn’t sit well with us. As the practice becomes more common, though, its use will accelerate and wastewater reuse and will probably become our most powerful water conservation tool.